These are the frequently asked questions that I am asked in every email. It will be updated every time I get a repetitive enquiry. Please note that the views here are entirely my own and may or may not represent those of my teachers and instructors. I assume all responsibilities and my apologies for any errors. Where are you from? What race are you? 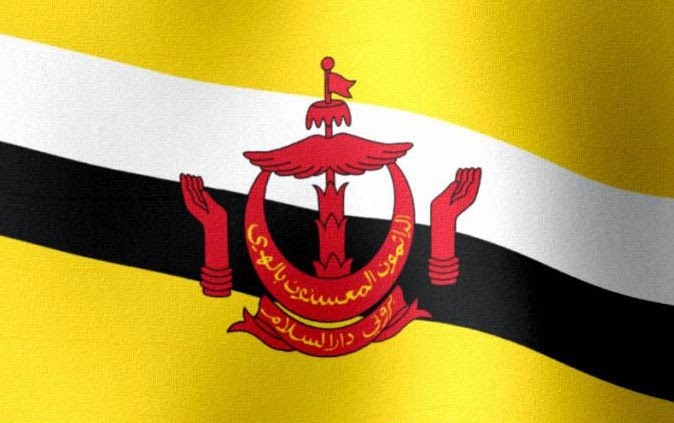 I am from Negara Brunei Darussalam (on Borneo island in the center of Southeast Asia). I'm a Malay (Melayu). To correct any assumptions made by miss-informed people in most parts of the world, Brunei is not a part of Indonesia, not a part of Malaysia, not a part of Philipines, not part of the middle-east. It is an Independant country with its own Ruler. Currently I'm based in Cardiff, Wales in the United Kingdom. Are you willing to travel to other countries to teach a seminar, workshop, or other public instructions? Yes, Under the Visa Waiver Program, Bruneians do NOT need a VISA to travel to any country in the world; but for security reasons official invitation letters with contact details are a must. Why do you train with weapons? The main reason why we train with weapons 1st is because we believe in the preservation of the arts and the culture, heritage and ethical principles of the southeast asian martial arts that have been passed down through generations. We are keeping an ancient tradition alive. Many fighting arts claim to have ancient roots whose history was born from the battle field or a country's revolution, I have yet to read in the history books people fighting wars and revolutions where both sides trying to kill each other bare handed. In ancient (and the present) times wars are fought primarily with weapons, only when soldiers loose their weapons do they resort to their empty hand techniques. Carrying any type of weapon on the streets in illegal. Can you still fight or defend yourself without a weapon? Nobody carries or fights with a machete, stick or knife in the streets? Some would say "I'd rather have broken bones and be scared then go to jail for the rest of my life if caught by the police with a weapon", Yes that is true. I am not encouraging anyone to carry weapons. But rather than taking weapons training in a negative light, why not take it in like any other applied knowledge. Like in engineering, the only way to find a solution to any problem is by understanding it. On the streets to defend against boxers you have to experience boxing, to understand grappling your have to train with grapplers, to overcome Muay Thai/Kickboxing you have to learn from experienced practitioners. Weapons training is no different, its training help us to understand the different types of weapon that could be used against you and you use against them, weather it be anything sharp or blunt impact objects. By familiarizing yourself and repetitively training with weapons, you will be physcologically desensitized, not get culture shocked when someone takes out a real knife or a bat on the streets against you. If someone brings out a knife or a broken bottle, our body will not freeze or our mentality would not try to fight him bare handed but due to our training, unconsciously we will try to gain advantage against his weapon by picking anything around us as an improvised self defense tool and using it with a reasonable force with the desired impact. If you can defend yourself against knives and bats, punches and kick are the least of your worries. Because our primary aim is preservation, the quote accepting "broken bones and be scared" is not an option. Fair enough injuries heal but we do not know the extent of our injuries if or when attacked on the streets, there are no referees to stop the fight. As a victim we might get paralized, blinded, permenently brain damaged or killed. We have to think of our family, our parents that took care of us or the wife and children that we love, who will take care of them. If we are injured to the extent that it permenently effects our future carriers and earnings would "broken bones and be scared" still be acceptable? Are the weapons an extension of your empty hand techniques? No, We train with weapons 1st to attain spacial awareness using weapons of various lengths. We do not have a thousand katas or a million forms to accommodate every weapon, only 3 core principles or movement. When we train with any weapon, it should translate itself to empty hands techniques with some or little modifications depending on the situation or environment we are in. Once you understand the 3 core principles, its not a bout how many techniques you know, but the understanding of principles to apply it. Are you a sports or tournament oriented martial art? Although our principles and strategies can be used in a tournament or sport circuit, we are not tournament or sport oriented. Its purely for survival. We do slug it out once in a while in training using padded weapons, but it is purely for the self discovery using the understanding of principles and strategies. As we are a blade art, we avoid the attitude of trading blows, we aim to control and dominate the confrontation as soon as possible. Your art is not Silat, its FMA.. its Russian, its Kung fu, its Israeli, its Mongolian, etc... Its a copy of this, an imitation of that, etc. Should I change my movements just to be different? Should I change it because so and so is using it? Its an honor to be associated and compared to some of the best fighting arts and instructors in the world, but some people just pick one or two techniques from my movements and base it on what is visually familiar to them and categorize the art to what it should be. What is one or two techniques compared to it as a whole? Should I judge you or your art on just a mere glance? I do not refuse that the movements that I do are similar to this or that, we have two hands and two feet, there is only so much that we can do with them, their movements are bound to look the same. A punch is a punch and a kick is a kick no matter what language they are spoken in. Do you represent Bruneian Martial Arts? Are you a leading authority in Bruneian Silat? No, I do not represent Bruneian Martial Arts or Bruneian Silat in general. I am merely teaching and spreading in my own way "one of the many" colorful cultures and traditions found in Brunei, to make Brunei better known. There are other better martial artist, known and unknown silat styles and martial art systems found in Brunei. Try viewing Silat like football (soccer), every one in the world plays it with the same rules; one ball, one goal, but every nation plays it differently, the Brazilians plays it differently then the English, the French plays it differently from the Americans, even in the United Kingdom alone, different football clubs play the game differently, with different divisions.Silat is so diverse, therefore, it would be incorrect for an individual as myself or anyone to claim sole authority on such a broad spectrum. Is your art open to all? The art is open to be taught and practiced by everyone who has the sincere desire to learn it with dedication and positive motivations and goal. It will be taught openly regardless of race, color, religion, physical abilities, etc. Is it open to other martial artist to cross train in? All martial arts and fighting arts are welcome, no politics, regardless of style, system, rank or seniority. It is a chance to incorporate weapons training to their arsenal or just experience what we have to offer. I do not slander other arts or scare my students from taking other silat styles or martial arts. If I do that, it means i have doubts with the effectiveness of my art. Only you can judge if its right for you. Do you have any training restrictions? Due to the nature of the silat we teach, public training is for aged 18 years old and above only. We do not teach children in public sessions due to various reasons. Personal hygiene is also our main concern, because we train to interact with people, cleanliness is best kept at the top of your list. No one wants to train with someone that smells. Will you just welcome anyone? Due to moral and ethical reasons the instructor has the right to refuse any individuals with anti-social behaviour and negative motivation.We only welcome friendly people, if you are one of them, the door is always open.